If you haven't joined the drone photography revolution, you're behind the times, my friend! 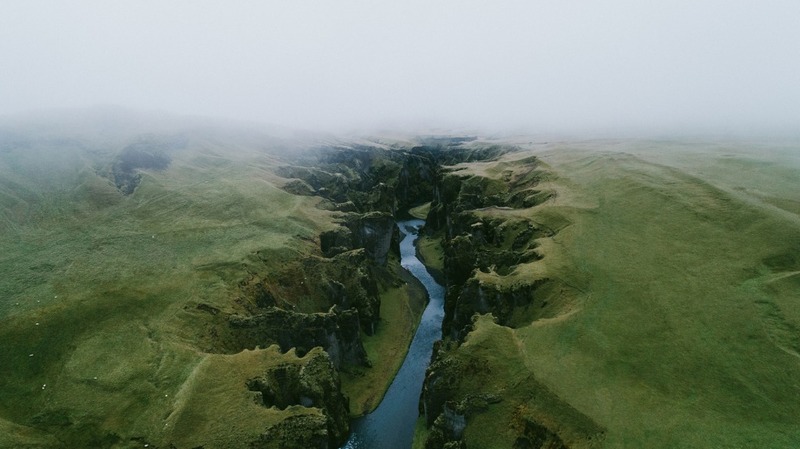 Drones aren't just a gimmick or a toy - they are legitimate photography workhorses that allow you to create photos from a completely different perspective. 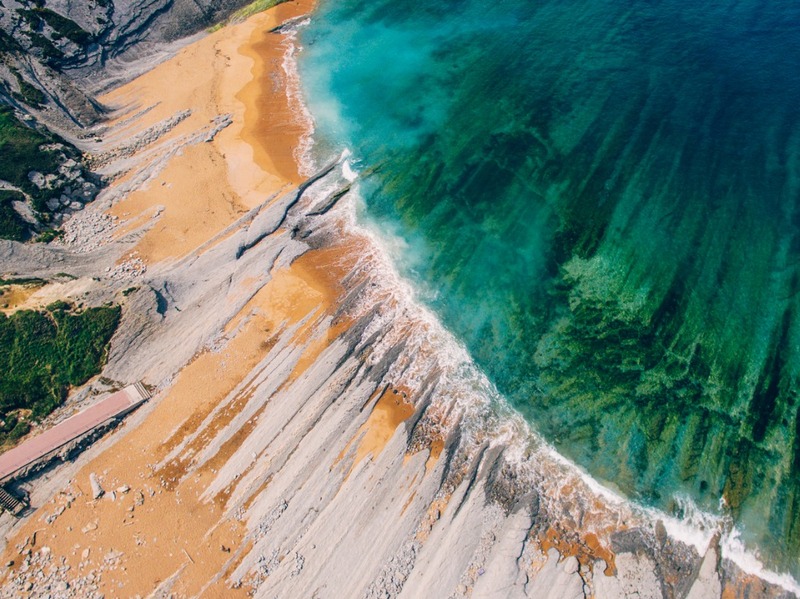 If you're ready to take the leap and start using a drone, consider this introduction to drone photography an ideal place to start! 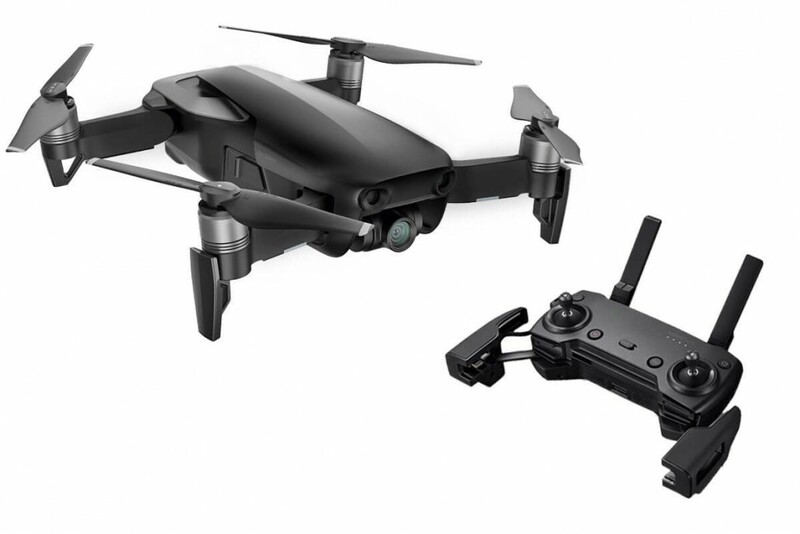 Editor's Tip: I use the DJI Mavic Air as an example drone in this article because it's an ideal combination of portability, size, features, and price for beginner drone photographers. Ask any photographer what the best image format is, and they'll tell you RAW. Sure, JPG files take up way less room on a memory card, but that's because JPGs are compressed, which means they lose some of the data collected by the camera's sensor. When it comes time to process your drone photos, you want all the data possible to make processing easier. That's precisely what RAW does. What's more, since drones have lower-resolution cameras (i.e., the DJI Mavic Air has a 12-megapixel camera), you need to preserve as much of the detail it captures as possible. So, when you unpack your drone and start setting it up, one of the first things you should do is set it up to shoot in RAW format. The chances are good that when you're flying your drone, you'll encounter challenging lighting conditions at some point. Primarily, scenes with a lot of dynamic range (the range of values from bright to dark) are difficult for any camera to overcome. That's where HDR comes in. HDR photos are actually composites of several different photos, each one taken in rapid-fire fashion using different exposure settings. So, your drone will take a photo that's exposed for the highlights, another that's exposed for the midtones, and another that's exposed for the shadows. Then, all those images are combined into one shot that's well-exposed throughout the range of light values. 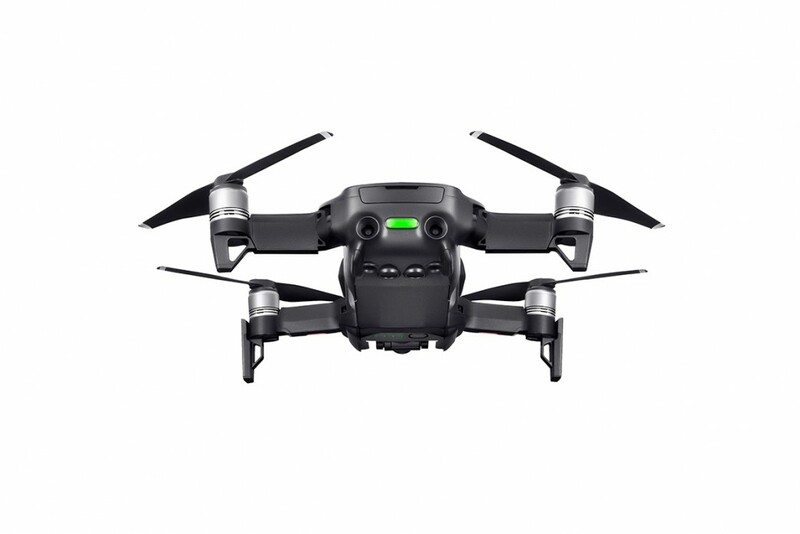 Better still, drones like the DJI Mavic Air have highly advanced HDR algorithms that help you get the perfect exposure settings according to the available lighting. That is, you don't have to make a ton of adjustments to get a well-exposed image - the drone does it intelligently! 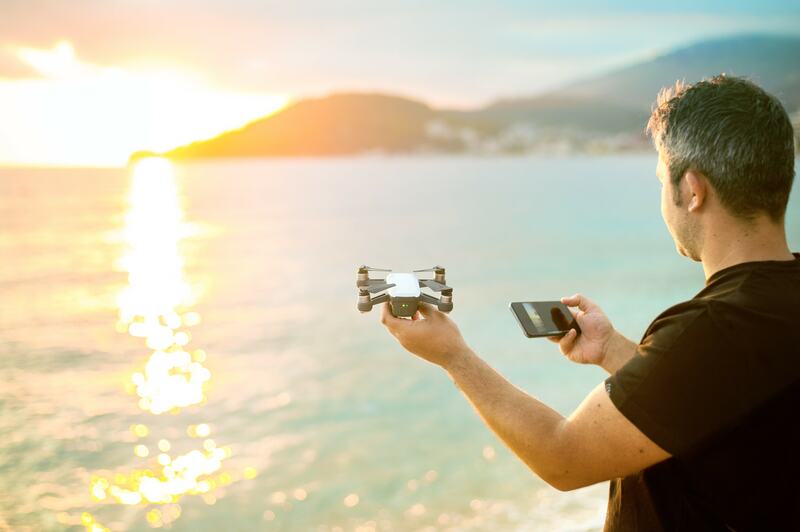 Typically, drones have wide-angle lenses, which makes them perfect for landscape photography from the sky. 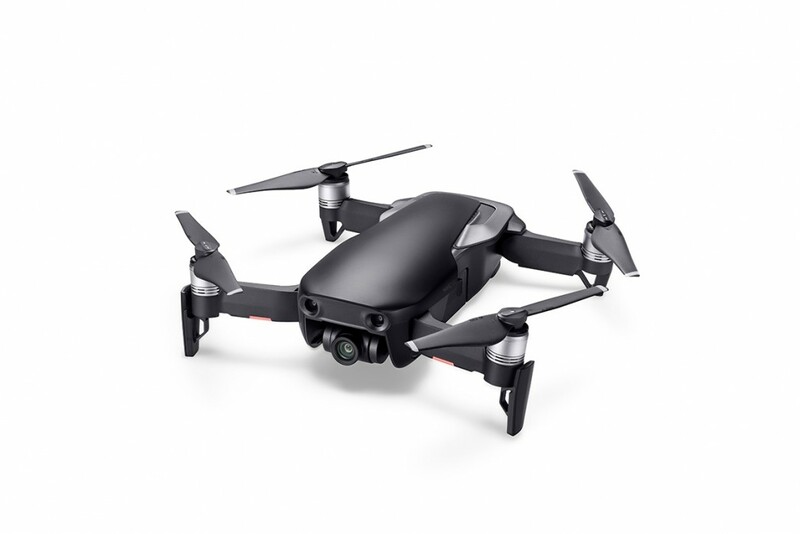 For example, the DJI Mavic Air has a 24mm f/2.8 lens that's ideal for capturing sweeping views of the landscape below. 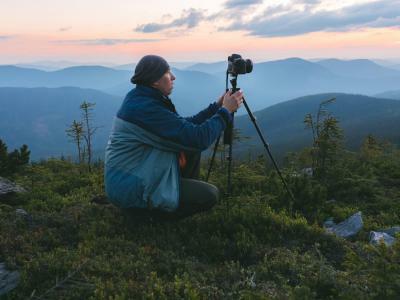 Since wide-angle lenses have a wider field of view, that means that you can capture more of the scene in one shot than you can with a standard or telephoto lens. When creating wide-angle shots like these, it's important to have a strong subject that draws the attention of viewers - otherwise the photo might look a little empty or viewers might be confused as to where they're supposed to look. Additionally, play with the perspective from which you take drone photos. Hover your drone 10 feet up, 20 feet up, 30 feet up, and so forth, taking sample images as you go. Then compare the results to see which altitude and point of view best helps you to capture the subject. Editor's Tip: Drones can be heavily modified to make them even better tools for photography. See how you can turn the DJI Mavic Air into your ultimate photography machine. Drone cameras allow you to manipulate all kinds of camera settings when you shoot in manual mode (which you should definitely do). To improve the quality of your images, try to shoot at the lowest ISO possible whenever possible. Since higher ISO values are associated with increased digital noise in photos, keeping the ISO low (i.e., 100 or 200) will help you get cleaner-looking shots. 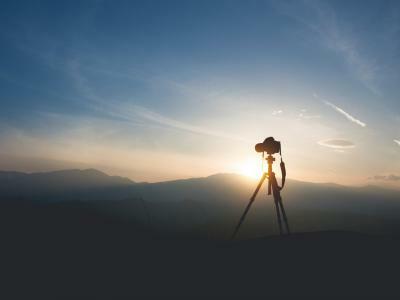 Something else to consider is the shutter speed that you use. 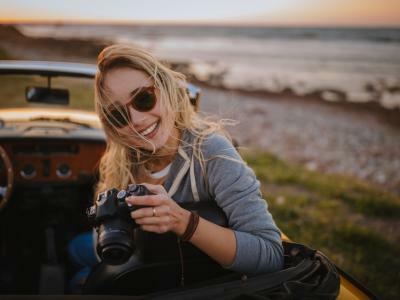 Many drones have a wide range of shutter speeds (i.e., 8 seconds to 1/8000 seconds on the DJI Mavic Air) that allow you to completely change how your photos look. 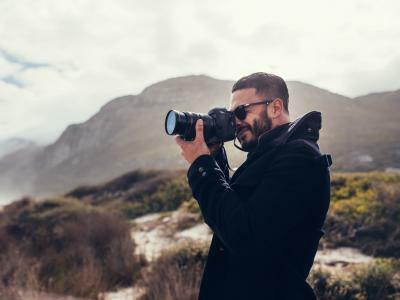 Naturally, the longer the shutter speed, the more motion blur that will appear, which is great for creating dreamy landscapes with beautifully blurred clouds or water. 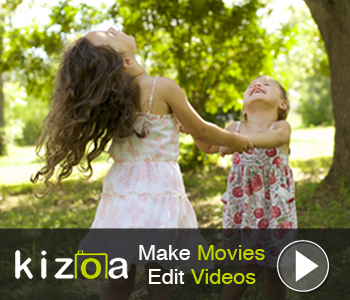 On the other hand, to freeze motion (and to minimize camera shake), choosing a faster shutter speed is advisable. 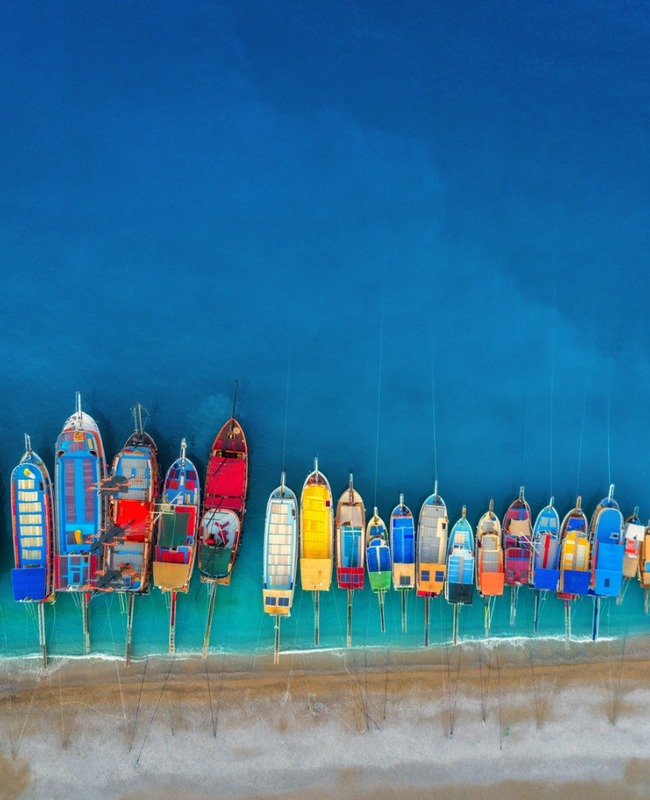 Just like some photographers do when they shop for a traditional camera, they think that buying the biggest, most expensive drone is the key to mastering drone photography. That's just not the case! While it would be awesome to have a DJI Inspire 2, not all of us can afford one. That's why the DJI Mavic Pro is such a great option for beginner drone photographers. Not only does the Mavic Pro have all the features you need to take better photos - a great sensor, a capable lens, manual camera controls, and so forth - but it's also got a price that many people can afford. 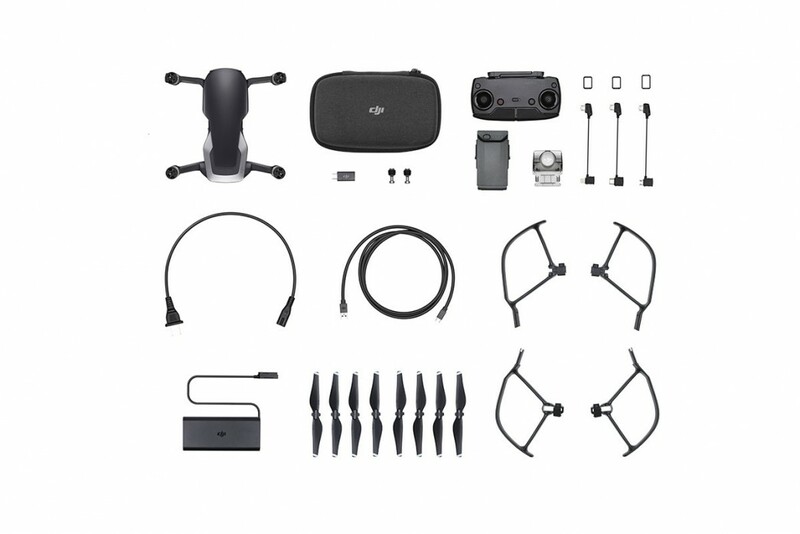 For less than $800, you can get the Mavic Air, a foldable remote, a battery, battery charger, power cables, 8 propellers, propeller guards, a carrying case, and more. That's not a bad deal at all! Instead, the DJI Mavic Air specs are quite impressive. There's 8GB on onboard storage for all the photos you take, and the drone's camera is capable of shooting 4K video at 30fps to go along with all the still images you take. In fact, the Mavic Air's camera records at 100MBPS, which is a higher bitrate than the more expensive Mavic Pro! The three-axis gimbal is a fantastic feature, too, as it helps stabilize the camera for cleaner, crisper, and sharper photos and videos. The Mavic Air can speed through the skies at 42.5 MPH, has a one-touch return to home feature, and sports a 21-minute flight time. It's also easy to maneuver and control because DJI has packed this thing with tons of futuristic features like hand gesture controls for taking off and taking photos. In fact, the Mavic Air sports something called ActiveTrack, which can sense up to 16 selectable subjects at the same time so you can choose the subject you want to track on the fly. You can see these and other amazing features of this drone in the video above by Drone World. In other words, getting started in drone photography doesn't have to be difficult or complicated. 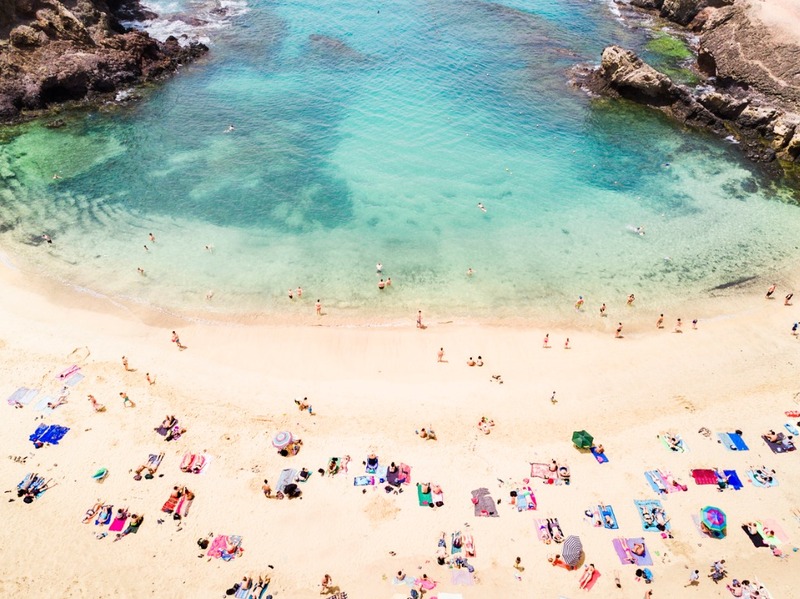 If you adhere to the basic rules of photography, get a drone that makes learning how to fly a simpler and easier process, and practice your craft often, I think you'll find that drone photography might come pretty naturally to you! All you can do is try it out, right?